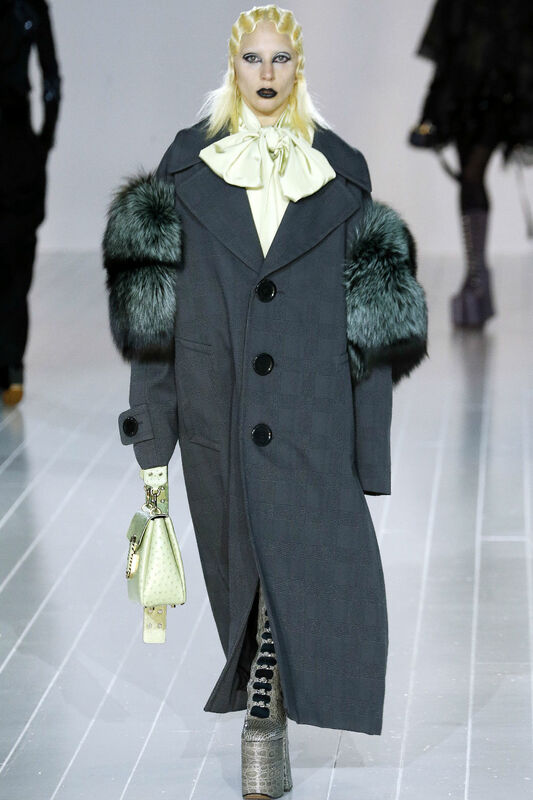 Let's analyse the Marc Jacobs's AW16 beauty look, shall we? New York fashion week has delivered its fair share of beauty gems this season – maybe they didn’t quite break the internet, but they did get the blood pumping a little faster. Did you see the Dolly Parton Space Cowboys at Jeremy Scott? 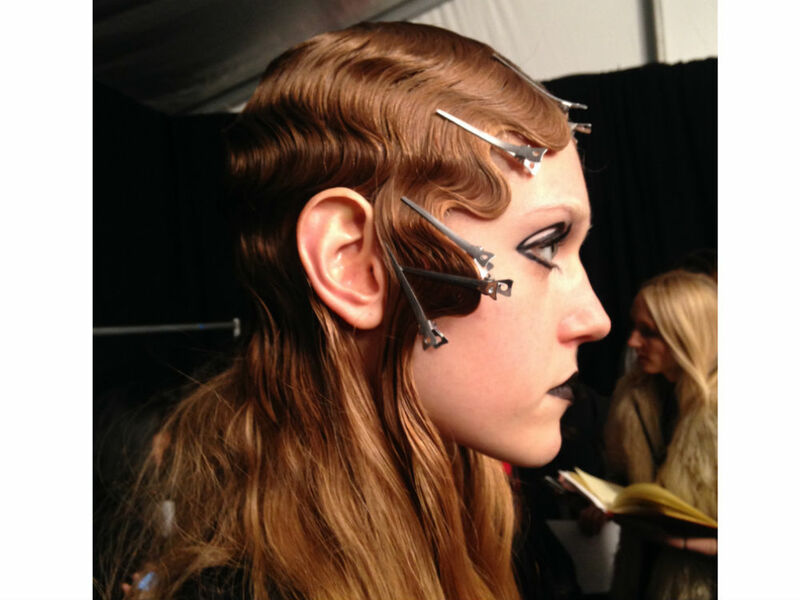 Or how about the incredible Middle-Earth hair and make-up at Rodarte? I mean, just amazing. But, back to business; renowned make-up artist Francois Nars (or Mr Nars to his people backstage) told me, ‘Guido (Palau – the fantastic hair stylist behind the look) and I met with Marc in his studio before the show. He had this big board of inspirations and he told us “the whole show is black.” I really had to take my cue from there. In preparation for the big event, Nars printed out a picture of each girl walking into the show and began to paint over their faces in black. Some received black lips, others a daubing of black over the eyes – until he had around six different looks, all using black, that he brought to life today on their faces. ‘I’m only using black,’ he told me. ‘I’m really not even using any foundation and there’s no blush – it’s like a black and white picture. It’s a bit Alice Cooper – maybe a little punk. I’ve bleached everyone’s brows so that I have a blank canvas to begin with, and then I’ve just worked with each individual face.’ So, lots and lots of NARS Duo Eyeshadow in Pandora and Black Moon Velvet Eyeliner (out autumn). Want to style out the finger waves like Gaga? Guido used Redken Hardwear Gel to create the waves and Redken Forceful 23 hair spray to set them. They’re both US products so try Redken Velvet Gelatine 07 Cushioning Blow Dry Gel and Redken Control Addict 28 High Control Hairspray instead and may the fashion forces be with you.